THE HEAD COACH: Kiwi Vern Cotter has proved a popular choice as head coach since taking over in 2014 following a successful spell with Clermont Auvergne in the Top 14. Despite a disappointing Six Nations earlier this year there have been definite signs of improvement for Cotter’s side, winning back-to-back clashes against Italy. FAMILIAR FACES: Veteran wing Sean Lamont is the top capped player within the squad with 96 Test caps, with forwards Ross Ford and Alasdair Dickinson also making a combined 134 appearances for the Dark Blues’. KEY PLAYER: Skipper Greig Laidlaw has produced some of the finest displays of his career in the Dark Blue jersey. The 29-year old scrum-half plays with a fast tempo and remains a potent weapon in Vern Cotter’s arsenal, not to mention his unerring kicking ability from anywhere on the pitch. YOUNG GUN: Young lock star Jonny Gray followed in the footsteps of his brother Richie by winning Friends of Scottish Rugby’s Young Player of the Year award in 2014. The 21-year old, who is a former Scotland Under 20 Captain, has already accumulated 13 senior Test caps and will be an essential part of Vern Cotter’s squad at the upcoming World Cup. STYLE: Scotland traditionally plays with a very physical style but have had to reinvigorate themselves in the past few years following a period of frustration. Their new way of playing is a lot more dynamic and exciting with more creative players like Finn Russell and Stuart Hogg making them more entertaining to watch. BEST RWC MOMENT: In 1991 Scotland were on the verge of reaching the World Cup final at Twickenham. However, they were narrowly beaten 9-6 by England after they had missed a kick late on, which would of at that point given them the lead. They were considered a serious contender in those days. WORST RWC MOMENT: Scotland had prior to 2011 qualified from their Pool in all previous five World Cups. However, four years ago they found themselves eliminated early. 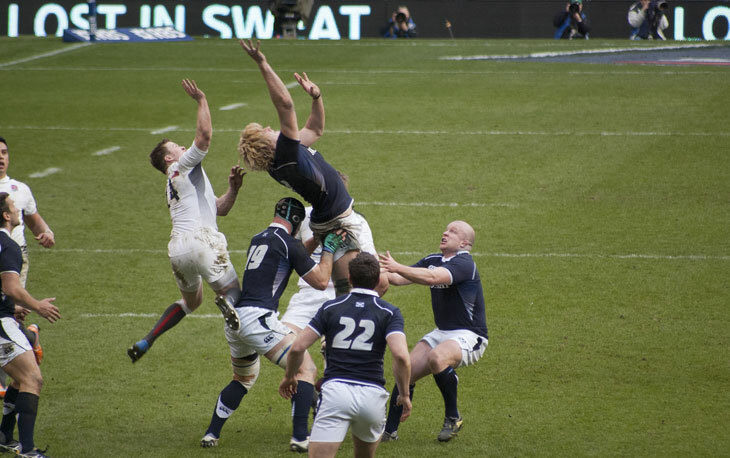 The Scots had recorded routine wins over Georgia and Romania but subsequent to defeats against New Zealand, and Argentina were heading home. COMMENTATOR’S GO-TO FACT: The official animal of Scotland is the Unicorn, appreciated for its purity and strength. EXPECTATIONS: After picking up the wooden spoon in the Six Nations in the spring you would contemplate expectancies would be limited on Scotland. However, with a reasonably straightforward Pool Vern Cotter’s men will be estimated to reach at the least the quarter-final. Has Vern Cotter improved Scotland? Although when he first came in he found it tough to change our fortunes we are finally starting to see some positive results. The performances under him have been a lot more enjoyable to watch, but it’s now about being able to compete with the big teams again now. How would you rate the current crop of players? I think there are some incredibly talented boys playing for us at the moment, especially Stuart Hogg. He is one of the best full-backs in world rugby on his day. How do you expect them to do at the upcoming World Cup? Looking at the Pool we ha e to make it through, simple as that. Anything else would be a bonus in truth. Who do you think will lift the Webb Ellis Cup? New Zealand is the obvious favourites. They just have quality in abundance in all areas of the pitch. RUCK VERDICT: Samoa is Scotland’s only tangible rival for the second spot in the Pool B. From what they displayed against Italy in their warm-up games they seem to be finally playing the way Cotter wants. However, going any further than the quarter-finals though would be improbable for the Dark Blues’.